Day 13 - 21 Day Challenge. It's time for Pomodoro! Ever get the feeling that you're drowning in work and you just can't seem to get things started? I know that feeling all too well. I just keep saying yes to interesting projects at work, and in my private life, and end up with just a little too much on my plate. I think this sensation of being overwhelmed with work was definitely impacting my posts the last few days - not to mention my mood! Today is a new day. And as the cheesy Billy Ocean song says When the going gets tough.....the tough get going. It's time for me to bring out the big guns. Actually I lie. I did this yesterday as I was feeling more than a little overwhelmed. To help me start getting through my long list of projects & to do's I'm employing the Pomodoro technique. The Pomodoro technique is designed to help you get the most out of time management. Simply choose a task, set a time for 25 minutes, and work on that task for 25 minutes straight. No distractions. No checking email, Google+, blogs, Twitter or Facebook. At the end of 25 minutes you can spend 5 minutes on something else. After 4 Pomodoro rounds have a longer break. Now I know this won't work for everyone. Some tasks require more time. Some people are in roles where there are interrupts. For me the psychological effect of knowing I only have to commit 25 minutes to the task really helps me plough through it. It also lets me see a significant amount that I've achieved at the end of 25 minutes. It's not perfect. And I'm certainly no expert. It is giving me a sense of some control over my life today - and for that I'm grateful. PS: The photo? It's random. 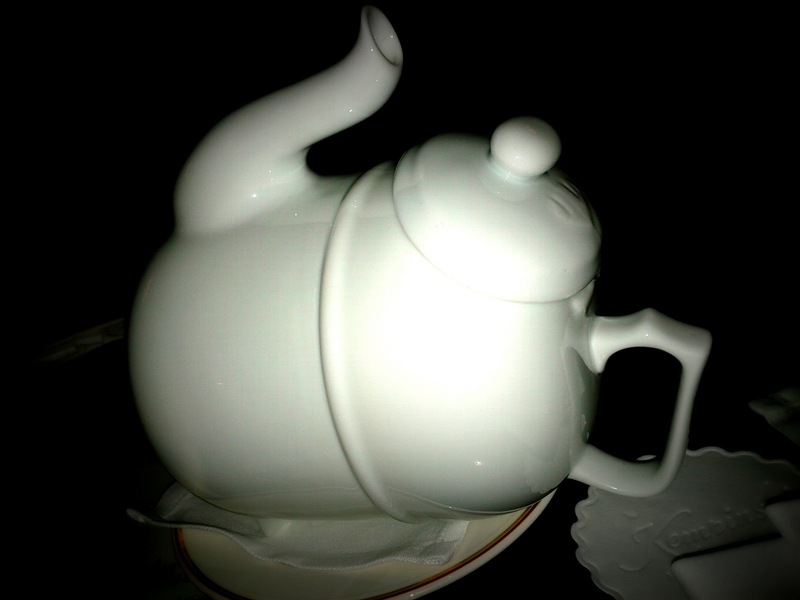 Just a funky teapot at the Kempinski hotel in Munich. It reminds me not everything is as it seems.